Lydia 1-1-25529-21: Buy Tamaris Overknee boots online! These overknee boots from TAMARIS are really noticeable. The leather upper material ensures an elegant look and makes excellent combinations possible. The 5-cm heel ensures a feminine flair. The zipper on the inner side makes it possible to put them on and take them off easily. 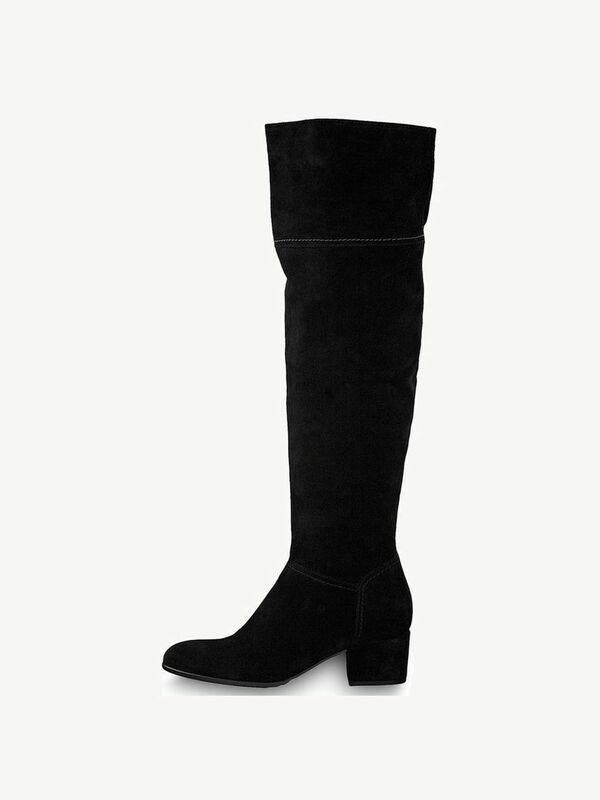 These overknee boots are the perfect companion on cold days, at work or for a winter stroll. They can be combined with tight pants or a skirt and tights matched with a warm coat, making sure they always complement any winter outfit.